Free vehicle day-use passes for more than 40 Redwood State Parks, including Humboldt Redwoods State Park, on Saturday, October 13, 2018, from 8 am until sunset. Passes for October 13 will be available online on a first-come, first-served basis, starting September 26, 2018. Free Second Saturdays in Redwood State Parks continue on November 10 and December 8, 2018 as well. 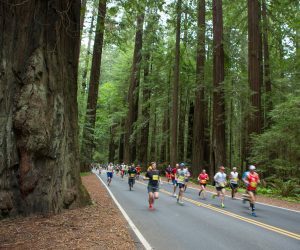 The Humboldt Redwoods Marathon, Half Marathon and 5K through the Avenue of the Giants in Humboldt Redwoods State Park on Sunday, October 14, 2018. Racers of all abilities can run along a winding route through towering old-growth redwood groves protected by Save the Redwoods League almost a century ago. Registration for all races closes October 11, 2018. Stand for the Redwoods Festival will honor the League’s Centennial and the 50th anniversary of Redwood National Park on Sunday, October 7, 2018, from 12:00 to 4:00 pm. This free Festival will be held at the gateway to Redwood National and State Parks in Orick, California. Visitors will enjoy live music, children’s activities, plus local food trucks, a beer garden, and a wine garden with food and beverages available for purchase. Since 1918, the Save the Redwoods League has helped establish and expand more than 66 parks and reserves, and restore historically clearcut forests within the Redwood National and State Parks. The organization has protected over 200,000 acres of redwood forests, and created educational and conservation programs that help connect visitors from around the world with these spectacular tall trees. Save the Redwoods League has created an online trip planning tool to help plan your next visit to the Redwood Coast and its forests of giants. Visit their website for information to help planning a trip from a few hours to a few days. 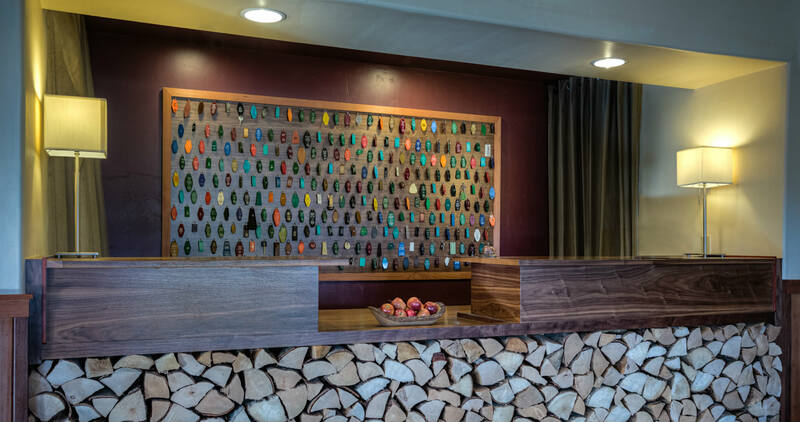 Then go online and reserve the hotel room for your stay at The Redwood in Fortuna, convenient to many of California’s Redwood State Parks. This entry was posted in Area Activities, Events, Festivals, Outdoor Activities, Sports, Things to do, Uncategorized and tagged Avenue of the Giants, CA redwoods hotel, Humboldt Redwoods 5K, Humboldt Redwoods Half Marathon, Humboldt Redwoods Marathon, Humboldt Redwoods State Park, Redwood State Parks free vehicle pass, Save the Redwoods League Centennial, Save the Redwoods League online trip planning by admin. Bookmark the permalink.